New Video by Louie Rey Prod. by Maaly Raw "WTM2L" / "Midnight Thoughts" (ShotBy@DjBey215)@md_makaveli. 2017...Press Play and Watch! 420 Stunna releases hot single "Ticket" off of his upcoming mixtape "Road Runna Stunna" hosted by OG Bigga Rankin, schedule to release May 23. The record, "Keep Dat Booty Movin", is basically a club/party motivated dance song. The lyrics aims for women that are independent and love to shake a lil some. If the women move, the men should also move in front or behind them, goals. Bank Boy teams up with Bigga Rankin and Traps-N-Trunks for his latest mixtape titled Boss Up. 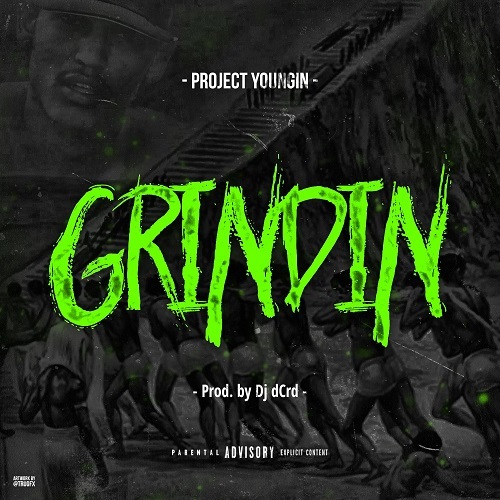 The 11-track project features production from Beat Godz and Young Shun. ​T-Row 239 from Pakistan, FL releases his latest mixtape project "Breaking News III". This Mixtape includes 23 of T-Row's hottest tracks to date and is hosted by none other than the streets A&R, Og Bigga Rankin. "Breaking News III" is definitely one for the streets. Real recognizes Real and this tape gives the streets something real they can relate to. Amyr Dean Baxton, also known as A.D. Brax, is a Brooklyn born Hip-Hop lyricist who is currently out of Anchorage Alaska. During the late 90's, his ear for music was finely tuned by his older brother, who submerged him into the world of Hip-Hop. Artists ranging from The Notorious B.I.G, Jay-Z, Talib Kweli, Mos Def, Red Man, and Busta Rhymes peeked his lyrical interest. Later on in his musical journey his love for Hip-Hop broadened as he discovered other artists who would help cultivate his musical creativity. Such artist like Jadakiss, Fabolous, Pusha T, and the his idol Jay-Z influenced his current style of Hip-Hop. The love of the music fueled his fire and he began on his journey into who is known today as A.D. Brax. He vowed to take what he has learned collectively from all artist and create his own Hip-Hop legacy. He hopes to take his fans on a musical journey with him by introducing meaningful lyrics which can be understood by everyone while bringing the essence of story telling back to what has been missing for a while in Hip-Hop. He also wants to influence others to express themselves through whatever means they may choose by showing them that Hip-Hop isn't just music, its also a lifestyle! In 2016 A.D. Brax came under the management of Sivad Entertainment, owned by the one of the renowned Entrepreneurs Ossie Davis. Sivad Entertainment motto is "Big Dreams, Small World",which means "Even the sky isn't the LIMIT." We want to take each and every one of you on a journey of exploration while bringing the excitement back to an industry that was made from storytellers. Brooklyn artist Justin Terry teams up with Fr33 Tha Sinner in his new video "It's A War". Produced by Von Dutchez and Directed by I.V. Films. Terry paints a lyrical picture of the gritty underworld on East NY. From drug abuse to police brutality Terry take you on a wild roller coaster ride. Make sure to download Terry's EP "Dark Days" for free on DatPiff & Audiomack for Free. DJ Jae Money presents us with volume 3 of his breakout mixtape series "Audio Trafficking", while continuing the latest mixtape series taking over the compilation mixtape game.. Download and Support. New video by TrapUnionRecords very own J Styles titled "Never Crack Under Pressure"! Check Out The "Grow House" Official MPAA Red Band Movie Trailer 2017! DJ Hypemancrunk releases his latest monthly mixtape BreakingRecords.Com Vol 9. This mixtape is filled with some of the hottest indies to date. Features include some of CRDJ latest Priority Artist like Mookie Mardi Gra, Zoe Diddie, Stebo, Dow Banks, and Kronic Yung Fresh. Loudmouf Promotions Priority Artist Lebo Soprano and Young Freq is also a featured artist this blazing mixtape. Stay Tuned for more Breaking Records from DJ Hypemancrunk. Checkout the new video by ChiChi The Eternal "YTN"
Every man should have time for the one he loves....EVEN IF ITS HIS SIDE CHICK, ENJOY! DJ Ms.Hypnotique releases her latest mixtape Street Bangaz Vol 5 hosted by Bigga Rankin. This mixtape is filled with some of the hottest indies to date. Features include some of our CRDJ latest Priority Artist like Mookie Mardi Gra, Balize, Money Baggz, and Scrill White. SCM Priority Artist Tropikana and our very own DJ Chill Will is also a featured artist this hott mixtape. Stay Tuned for more Street Bangaz from DJ Ms.Hypnotique. In January of this year DaBaby, aka Baby Jesus, from Charlotte, NC released his mixtape Baby Talk on LiveMixtapes, which featured his version of a lot of today's hits and he has not stopped. Today we bring to you his latest release "Baby Talk 2", which is a collection of a few new exclusives over one of your favorite songs that is out right now! Check Out The New Single "On The Line" By VA's M-BURB On iTunes, Spotify & Other Digital Stores Today! Click [Here] To Stream/Support on iTunes! Click [Here] To Stream/Support on Spotify! Zach Farlow "Over Til Its Over"